Ashfield Primary school is a community school for 3-11 year olds and is situated in beautiful rural Otley, on the outskirts of Leeds. It is well equipped with up-to-date ICT facilities, a library and a large outdoors play area. The school aims for excellence from both staff and pupils, promote aspirations and development as citizens in the wider world and provide a curriculum that is challenging, fun and creates excitement around learning. Centurius were approached by Ashfield primary after the school were referred to us by another client. As a company, we are proud to say that the vast majority, if not all of our clients would be happy to recommend us. 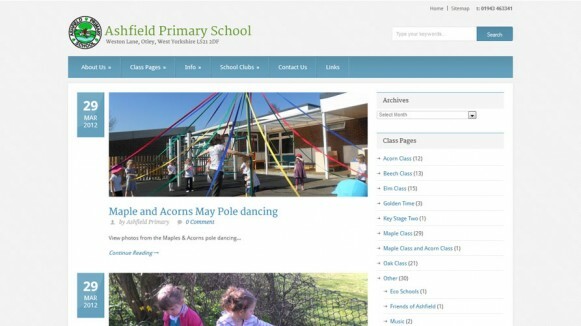 Ashfield had previously been using two spate sites; one for the main school and one for individual class blog pages (where parents could see what their child’s class were doing). Centurius advised the client that a WordPress site could combine the two and offer easier administration. WordPress would allow multiple log ins so the individual teachers could update the site from different portals. As is common practice with Centurius, we created a number of flat visuals for approval from Ashfield; these visuals offering a representation of what the final product would look like. 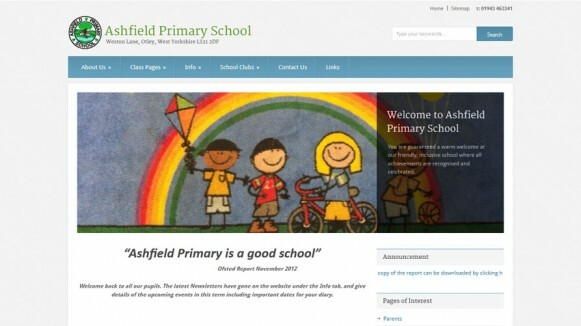 Ashfield already had a blog, created in eblogger, which Centurius were able to transfer into the WordPress interface. Centurius were conscious of time limitations on teachers and staff at the school and so were determined to develop a site that was as easy to use as possible. 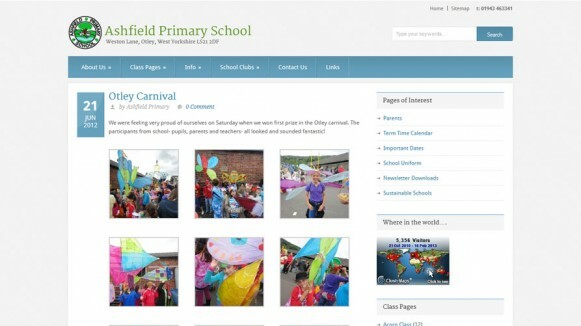 Therefore the site was restructured to make the individual class blogs simple to find and update. Centurius were also aware of those parents and relatives who wanted to access the site but were perhaps less au fait with information technology. Therefore Centurius adapted the ‘widgets’ section on the right hand task bar to allow for quick and easy links to key areas around the site.